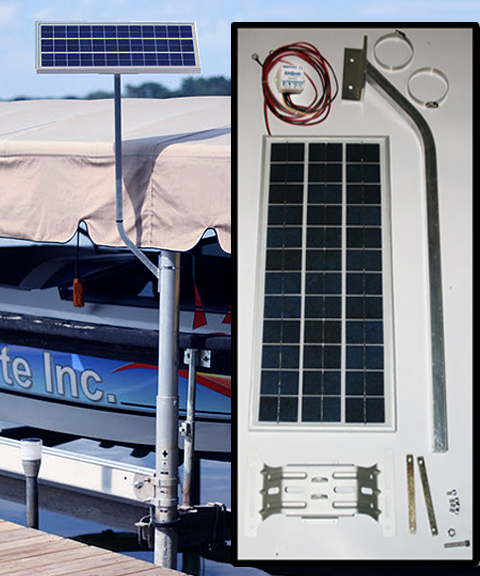 Our 20 watt, 12 volt solar marine charger provides maximum power and is a robust solution for boat batteries and boat lift system that use single 12 volt batteries. 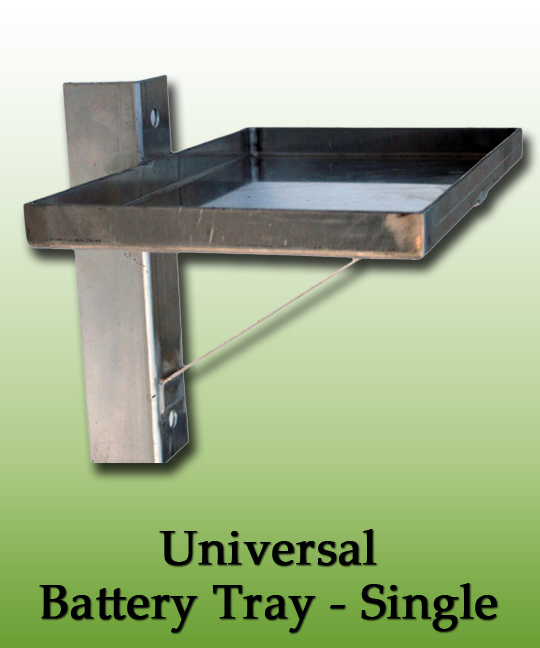 You can select this item without a tray, or select either a Universal or Hanging Tray for an additional discounted cost. Please note that Hanging Trays require a boat lift canopy. This product also comes with the following options: free 3-foot mounting arms (longer arms available as extra options); free Battery Status Indicator; and a free Solar Charge Controller Regulator which is necessary to properly operate this system. 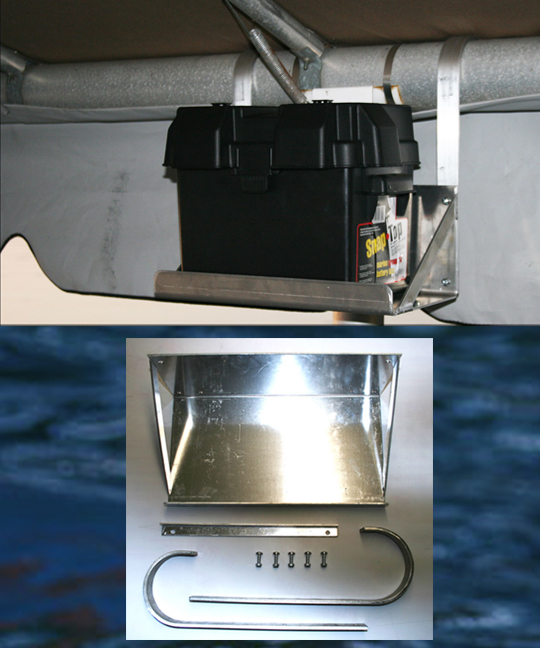 If you use your boat lift frequently or have heavy boats (up to 10,000 pounds) this system is recommended over our other quality, but lower wattage systems. 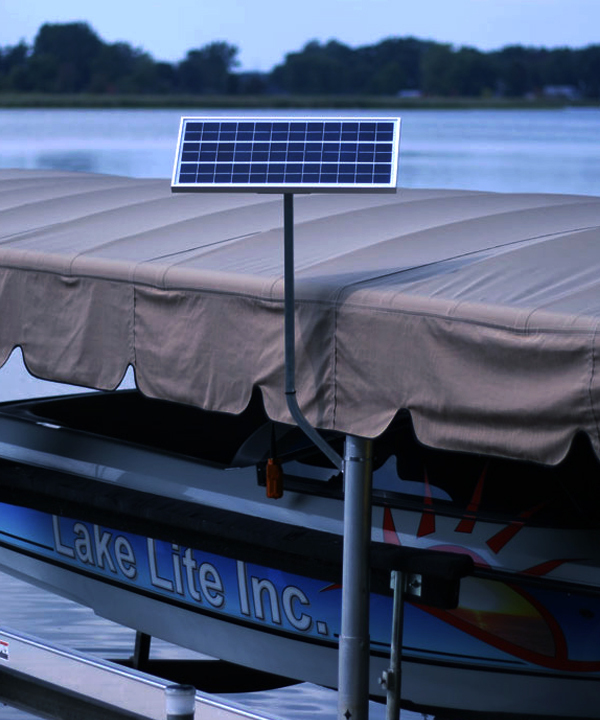 The high quality solar panel and components mean your battery will be in top condition, making sure that your electric DC lift motor is has the power necessary to raise and lower your boat when you want to get on or off of the water. This is a great system for the daily user that lives on the water! Make sure that your boat lift battery or motor will be up to the challenge, even on long weekends or when you're on vacation! 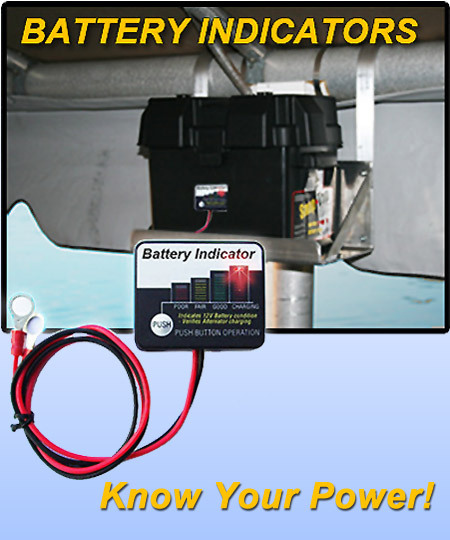 When other boater's batteries may well be over taxed, yours will be ready to go! Why Use the Solar Controller/Regulator? 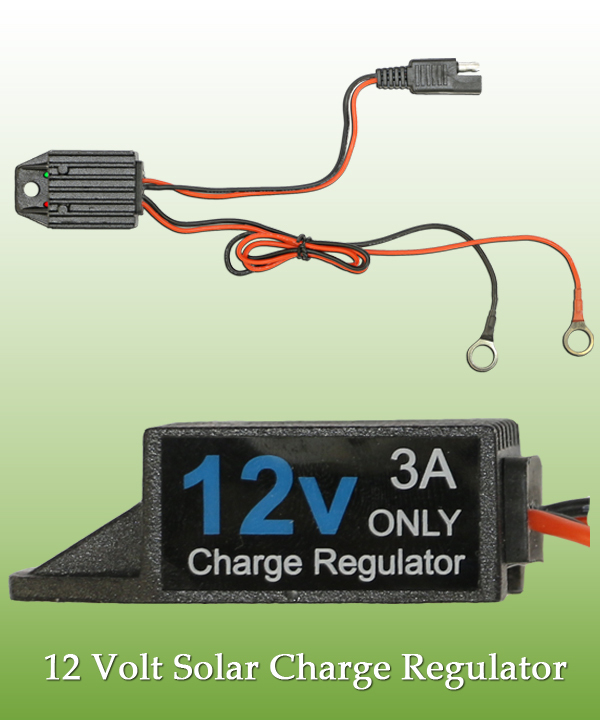 The 20 watt / 12 Volt solar panel provides to make sure your battery is ready for lifting needs, but a solar charging regulator is necessary to prevent overcharging and damage to your battery which is a possibility when the battery is not used for extended periods of time. Without a solar regulator, it is entirely possible that too much solar power could damage the battery and any connected systems. The combination of the powerful 20 watt solar panel and the smart charge controller/regulator makes sure your ready to hit the water without worrying about weak or dead batteries. 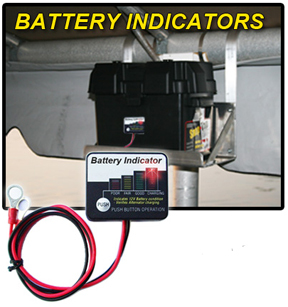 In addition, you'll always know the status of the charge and battery through an easy to read LED indicator light, and always lets you know the status of the charge and the battery with a convenient LED indicator light as shown in the table below. This is a proven charging solution!